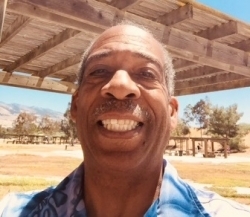 Clayton A. Wilson IV, of San Jose, California, has recently been recognized by Strathmore’s Who’s Who for his outstanding contributions and achievements in field of Engineering Electro-Mechanical. In honor of his accomplishments and professionalism, Mr. Wilson‘s image was projected over Times Square, New York, on June 22nd, 2018. Clayton A. Wilson IV is a pioneer in real time 3D CAD motion. As a CAD Engineering Consultant, he has been integral in the design, development, manufacturing, marketing, and sales of footwear design and apparel, equipment and accessories, automotive, and aerospace industries. Mr. Wilson was born in Aberdeen, Maryland; he earned a degree in CAD Engineering from the Institute of Business and Technology. He is a Precision Machinist and Precision Inspector. Mr. Wilson is a concert pianist. In his leisure time he enjoys GT automotive road racing and spending time with his wife, Marina D. von Linsowe, and three daughters Kira, Lara, and Tami.